To “record” means to remember, to make sure something is not forgotten; Hamlet writes new revelations down in his tablets; I do the same in JAZZ LIVES. But “records” mean more than just ethereal memories; they mean the very objects that contain and preserve these memories — in this case, musical ones. 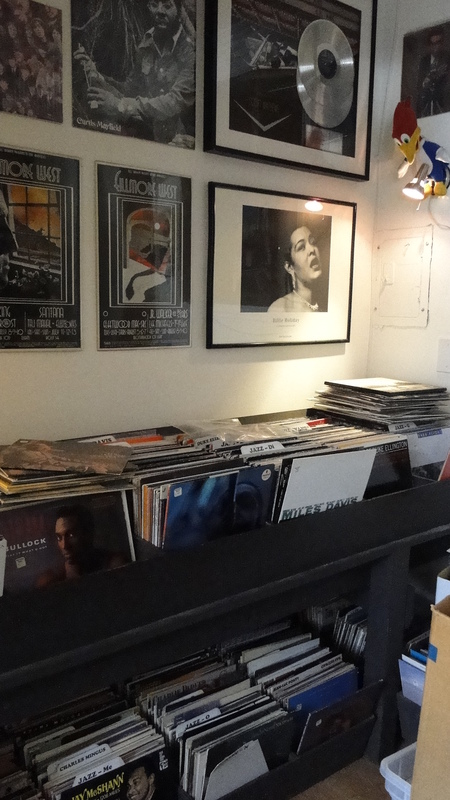 So here are a few words and a half-dozen pictures to celebrate music and remembering. 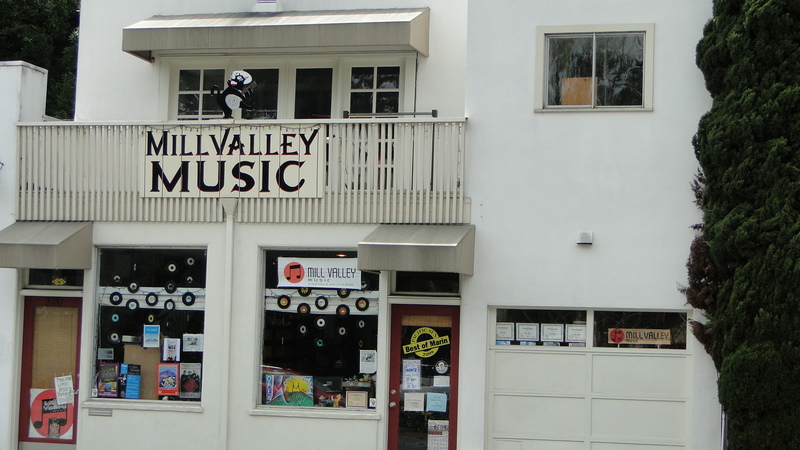 I revisited Mill Valley Music and had a sweet wandering hilarious conversation with the owner, Gary, who used to work at Village Music. We spoke of the horrors of water damage, of earbuds, of shifting tastes in music. In between, I crawled around the store and found one treasure. 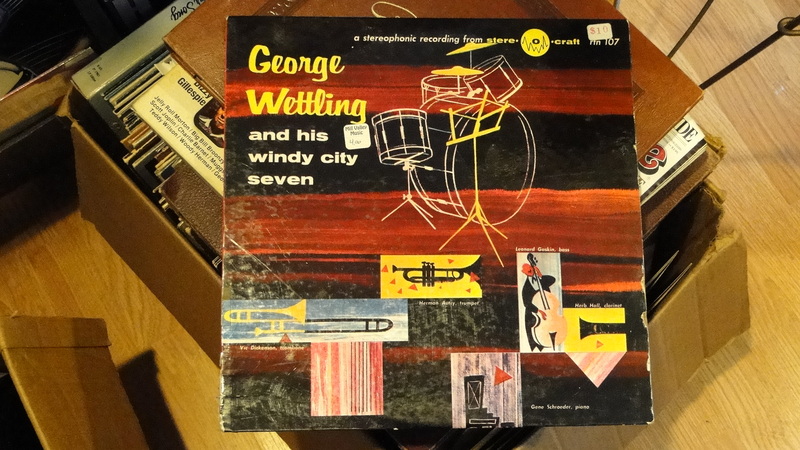 That recording comes from 1957 or 8 — Wettling along with Herman Autrey, Vic Dickenson, Herb Hall, Gene Schroeder, and Leonard Gaskin, which would have been some version of the house band at Eddie Condon’s. 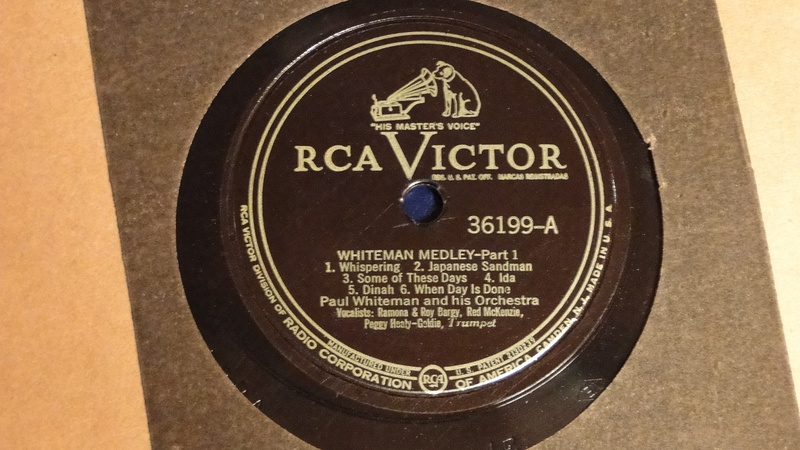 I haven’t heard this one in years (it’s in stereo, too) but suspect that the anonymous / uncounted member of the “Windy City Seven” — the name under which Condon and friends made the first sides for Commodore — is Mister Condon himself, under contract to Columbia. We shall see if I hear his distinctive strumming in the ensembles. Today, the Beloved and I took another day trip to Sebastopol and environs. Highlights: nurseries, fine lunch at a strip-mall Nepalese / Himalayan restaurant, and visits to a number of antique shops. 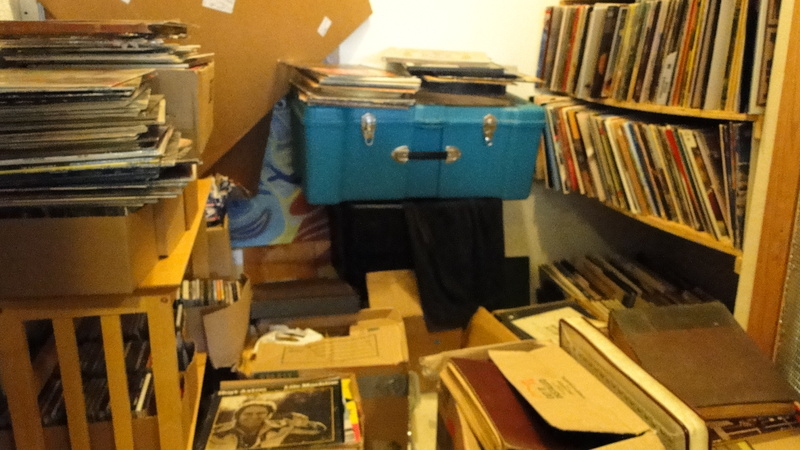 At the second one (it may have had no name, just a sign saying FURNITURE and DEPRESSION GLASS) I spotted a pile of 78s in the corner. The other side, TIGER RAG, suggests great things are in store. 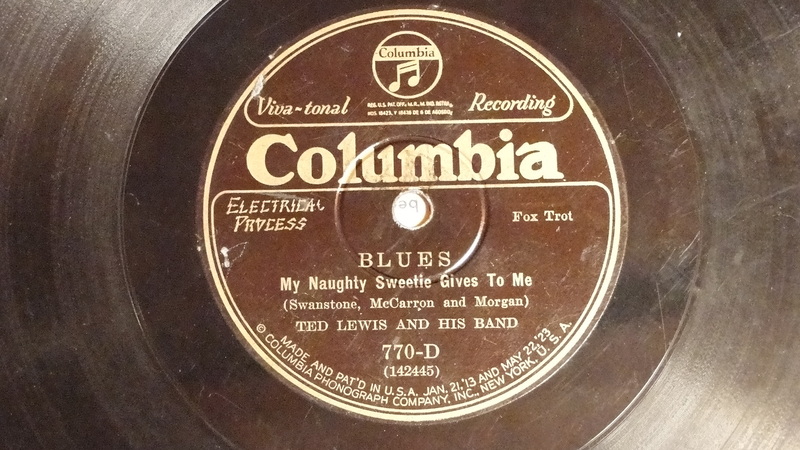 The original 12″ 78s in their paper sleeve — heard but never seen before in their primal state. The reissue of A NIGHT AT THE BILTMORE — no picture, but I’ll close my eyes. 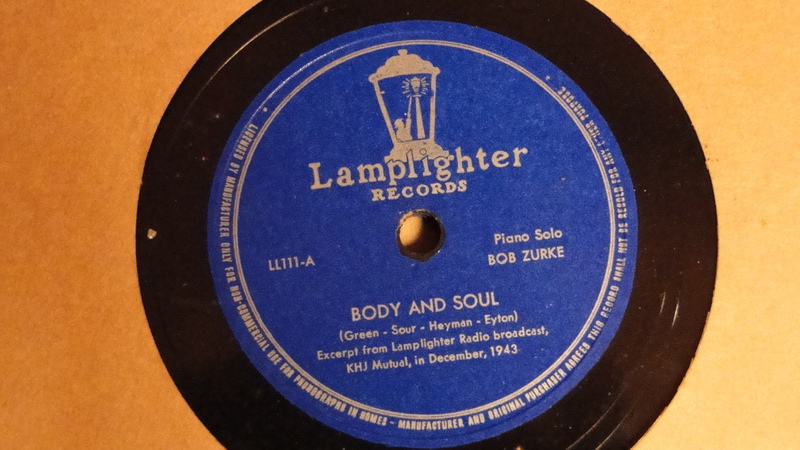 A two-disc album — a Bob Zurke Memorial with note by Barry Ulanov — four piano solos taken from a 1943 broadcast and a private session: BODY AND SOUL / WORKIN’ MY WAY / HOW AM I TO KNOW? / WHO ARE YOU? Someone had good taste, and I feel very fortunate to be in the right places at the right time. Oh. How much did all this cost? Two days, thirteen dollars. Keep looking for treasures: they exist! 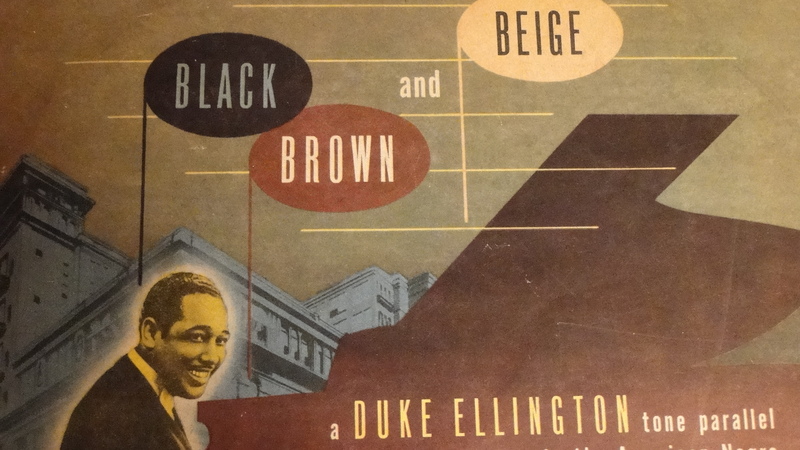 This entry was posted in "Thanks A Million", Bliss!, Generosities, Hotter Than That, Ideal Places, It's A Mystery, Jazz Titans, Pay Attention!, Swing You Cats!, That Was Fun!, The Heroes Among Us, The Real Thing, The Things We Love and tagged A NIGHT AT THE BILTMORE, BLACK BROWN AND BEIGE, Bob Zurke, Duke Ellington, Eddie Condon, gene Schroeder, George Wettling, Herb Hall, Herman Autrey, hot jazz, Jazz Lives, Leonard Gaskin, Michael Steinman, Mill Valley Music, Paul Whiteman, rare records, record collecting, Ted Lewis, Vic Dickenson. Bookmark the permalink. I will be back in the summer . . . hope to meet you there or elsewhere! Grazie, amico!